What is a Ladybird Deed in North Carolina and Why are they Important? 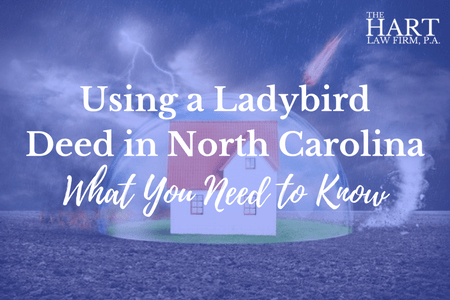 North Carolina is one of a handful of states that allows individuals to use Ladybird Deeds to protect their personal residence. But what is a Ladybird Deed anyway, and how do you know if you need one? One of the best ways to explain a Ladybird Deed is to use a simple hypothetical. Bill and Mary are an elderly couple. Bill is 75 and has survived several heart attacks. Mary is 77 and has recently been diagnosed with Alzheimer’s. Many years ago, Bill and Mary drew up what are commonly called “sweetheart wills”. This means that if Bill dies first, everything he owns would go to Mary and vice-versa. This would include their home. 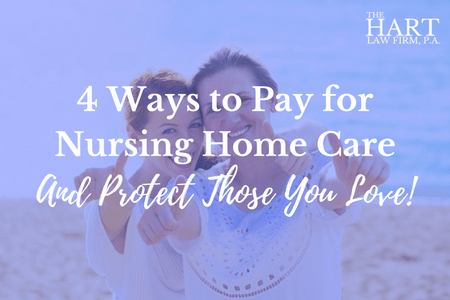 However, now that Mary has been diagnosed with Alzheimer’s, Bill is looking to do some additional planning to protect everything he has worked so hard to save from the crippling costs of long-term care and from the government. This is where the Ladybird Deed comes in. Let’s say that Bill and Mary had decided that if they should both die, they want their home to go to their two children, Fred and Nancy. This was what they intended with the wills they prepared many years ago. Let’s fast forward a couple of years. Bill is now 82, and Mary has passed away. Bill still lives in his home, but he may need to enter a long-term care facility soon. 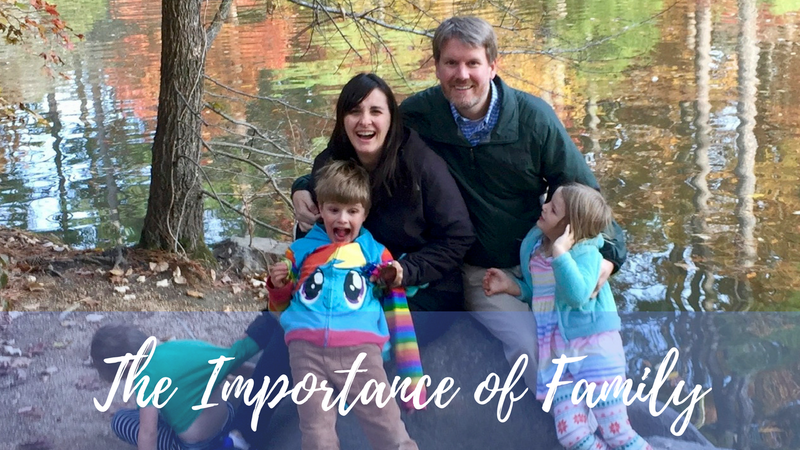 Under their previous plan, when Bill dies, his home would enter a process called probate in North Carolina, where it would be transferred to his children as he intended. This assumes that Bill never needed long-term care. But let’s say, for example, that Bill does require long-term care, as do the majority of seniors that are his age. Long-term care expenses can easily range from $60,000 to $100,000 per year. The average is approximately $78,000 per year. Bill’s home is worth about $200,000, mortgage free. If Bill does nothing, when he passes on, the State of North Carolina will have what is called a “Medicaid Lien” on Bill’s house. This is also typically referred to as “Medicaid Estate Recovery”. Medicaid Estate Recovery is the process by which the state will go into probate court, attach their lien to Bill’s house, and then require that the house be sold so that the State can be paid back for the cost of Bill’s long-term care expenses. The end result? Fred and Nancy are forced to sell the family home and pay all that money to the State of North Carolina. The good news for Fred and Nancy is that Bill was savvy and met with an elder law attorney before he passed away. By doing so, he learned that he could use a Ladybird Deed to retain all the rights in his home, including the right to sell or mortgage it, but still leave it to his children outside of the probate process. In other words, the home would pass to Fred and Nancy free and clear, bypassing the State and it’s Medicaid Lien. It’s not. Many North Carolinian’s are using this strategy every single day to legally protect real property that has been held in their family for many generations. If you have a loved one or spouse who is in need of long-term care, and you want to make sure their assets, including their home, are properly protected from the government, then reach out to speak with us about your situation. You can contact us at (919) 883-4861 or use our contact form to schedule a quick call with us.